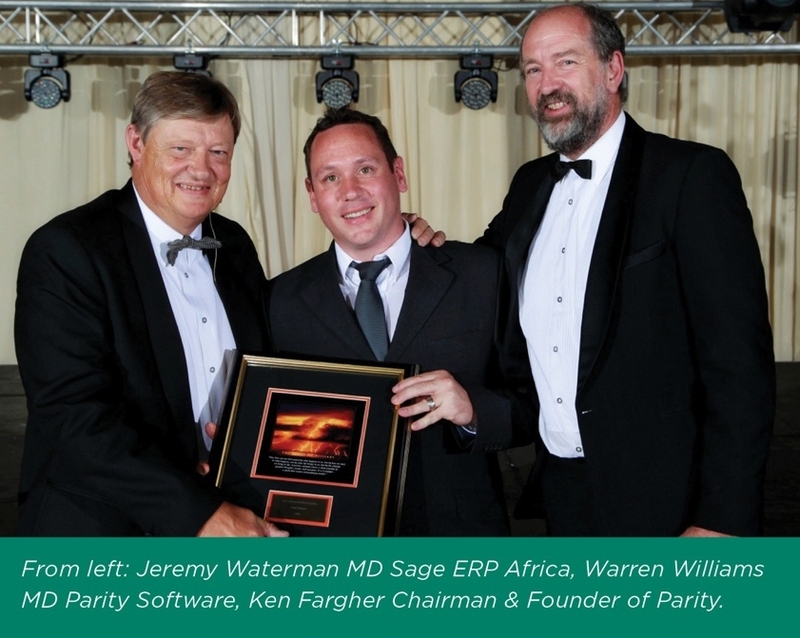 Parity Software also received recognition for Highest Sage Enterprise Management formerly known as Sage X3 Sales, Best Performer of Sage CRM and for achieving Premier Status as a Sage ERP Africa Solutions Provider. Williams and his team were presented with the awards, based on business achievements at the Sage Insights Partner conference held from the 7 to 10 February 2013. “We are humbled that we have been able to achieve this coveted status. Our industry partners are efficient business solutions providers and also deserving of the highest merits. We congratulate all business partners who have been recognised for achievements in their respective areas of expertise,“ said Parity’s Chairman and founder, Ken Fargher. Headquartered in Johannesburg, with branches in Cape Town and Durban, Parity Software provides and supports Sage CRM, Sage Enterprise Management formerly known as Sage X3, Business Intelligence solutions, as well as third party products including Cashbook, AP Recon, Parity Report Server and Debit Clearing, within a wide range of commercial and industrial enterprises worldwide.